Formed in 1921, Avbob Mutual Assurance company has a long, long history. By 1930 there were 30 000 members. Today AVBOB insures more than 3 million people and also voted as one of the top three long-term South African insurance firms by the Sunday Times. Many people think life insurance and life assurance are the same. 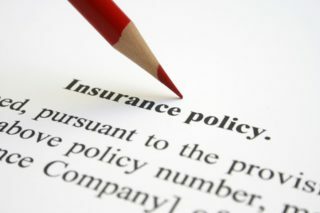 However, they are two very different insurance models. With insurance, there is no payment if you outlast the terms of your contract, however, assurance always pays out and often forms the basis of a retirement savings plan. AVBOB is a mutual assurance society, and so it’s owned by its 1.3 million clients. It specialises in burial services and funeral insurance in South Africa and Namibia and has close to 200 offices nationwide. There are three divisions: Insurance, Funeral Services and Industries. Go online and get free Life Insurance quotes now! AVBOB pay a bonus to clients if they use their funeral service. Furthermore, clients get extra benefits. There is a cash back plan if policies are unclaimed for five years. A flexible family funeral insurance that extends to the entire family, and a savings plan plus life insurance policy. The call centre has more than 3 000 skilled individuals to help with any queries that members may have. More than 170 funeral parlours in South Africa and Namibia, offer a funeral service. The salons operate 24 hours a day, every day. The staff members who work at them are highly trained by AVBOB. Also, they offer practical guidelines for funerals, even if the death occurs after office hours. Avbob factories produce a range of quality coffins, wreaths and granite tombstones. With AVBOB your claims are settled within 48 hours, furthermore, with no waiting period for accidental death and a six-months for natural causes. The burial society also gives its members a chance to celebrate the lives of their loved ones and provide the use of a unique memorial web page. Friends and family can upload a message or pics.